Our virtual office services are on a no contract, month-to-month basis. Are you looking for Virtual Office space in Phoenix, Mesa & Scottsdale, AZ? At Plaza Executive Suites we understand the pressure that long-term leases and costly landlord fees can put on a business. With that said we take a different approach as our goal is to see Valley businesses thrive. From virtual offices to executive suites and meeting rooms, we offer the perfect business identity solutions with all the amenities and more importantly there no padded fees. From short, mid and long-term leasing solutions for home-based businesses, small emerging companies and mid to large corporations, we focus on your requirements and budget, and we also provide customer-facing personnel as part of our business solutions, saving you money when it comes to staffing a front desk. At the end of the day, we simply let you control your costs while enjoying a professional business environment in Phoenix, Mesa & Scottsdale, AZ with all of the office amenities. Whether you think your business would benefit from a business address, voicemail or full call answering in the Valley, our team is here to help. Our virtual office packages offer an affordable way to raise the profile of your company, and we’ve made it easy to set up and use. At Plaza Executive Suites when it comes to renting an executive office, we know that you have an abundance of choices when it comes to a fully furnished office and we take great pride in providing you upfront pricing with no hidden fees. We offer 149 full-time fully furnished executive suites in Phoenix, Mesa, and Scottsdale, AZ that come with a wide array of amenities. From a welcoming receiving area to a professional business address and phone answering, you can focus on the success of your business, and we will take care of the rest. 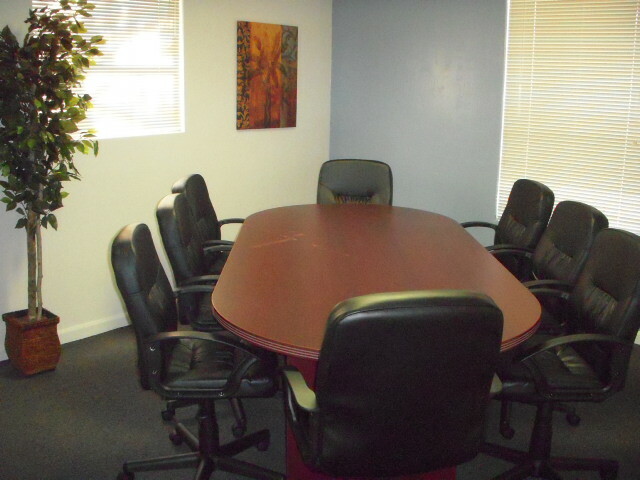 With executive office suites in several convenient locations, your office rental search is over. Create the right impression with professional, cost-effective easy-to-reserve meeting rooms that are delivered with complete business support. In short, we let you focus on your agenda while we handle the logistics. From off-site meetings and conferences, our professional and spacious environment is set up to inspire constructive and lively group discussion. Our proximity to highways 51, 10, 60 and 202, Fiesta Mall, the Arcadia area, Sky Harbor Airport and the Camelback corridor, Scottsdale Old Town, and Biltmore facility located in the prominent 85016 zip code on 24th Street, which makes Plaza Executive Suites a natural choice for both convenience and your business’ professional image. At Plaza Executive Suites no matter how small or large your business is our virtual office space, executive suites and boardrooms give you the leverage you need to pursue new opportunities without committing to a long-term office for rent, purchasing expensive teleconference equipment or hiring a full-time staff. Whether conducting your meeting in an office or one our spacious conference rooms, we have a range of features and amenities to assist your next meeting. Fast and easy sign-up, within 30 mins! Multiple locations to serve your businessGet started today! Get started today and discover why so many businesses find Plaza Executive Suites to be the premier source of cost-effective business services. Whether utilizing our boardroom, business mailbox or telephone answering services, we help you build connections with like-minded professionals and open the door to new opportunities. Plaza Executive Suites is a highly cost effective, image enhancing service. I can meet with clients in a beautiful, professional setting yet only pay for the services I use. Since I mainly work from home, it is important to have such a great location to meet with clients. I like that my clients encounter friendly, professional staff when dropping off or picking up items or when they are waiting in reception. I have my mail and packages handled in an organized, secure manner. PES has saved me an incalculable amount of time and money and I highly recommend them. We love being tenants at Plaza Executive Suites. Our office, the building and the grounds are meticulously maintained and the staff is professional, courteous, knowledgeable and accommodating. I would recommend renting a space at Plaza Executive Suites without hesitation!